Brick tea contains high concentration of fluoride. The aim of the present work was to explore whether and how the brick tea is a risk factor for dental caries and dental fluorosis among Tibetan children in Ganzi. A cross-sectional study was conducted with 368 12-year-old Tibetan children in Ganzi. Dental caries was measured by DMFT index, and dental fluorosis severity was measured by Dean’s Index. Community Fluorosis Index was used to estimate public health significance of dental fluorosis. Oral health-related behaviors and awareness, dietary habits and socioeconomic status were determined by a questionnaire. Bivariate and multivariate analyses were used to determine risk factors associated with dental caries and dental fluorosis. Dental caries prevalence was 37.50%, mean DMFT was 0.84 ± 1.53, while dental fluorosis prevalence was 62.23%. Community Fluorosis Index was 1.35, indicating a medium prevalent strength of dental fluorosis. Dental fluorosis was associated with mother’s regular consumption of brick tea and residence altitude, and dental caries was associated with mother’s regular consumption of brick tea. Mother’s regular consumption of brick tea was a risk factor for both dental fluorosis and dental caries among children. Reducing mother’s brick tea consumption during pregnancy and lactation may improve oral health status of their children. Rui Zhang and Li Cheng have contributed equally to this work. This survey was funded by grants from Special Project Funds of Chengdu Science and Technology Bureau (2015-HM01-00501-SF), National Natural Science Foundation of China (81400507), and China Oral Health Foundation (2016054). We appreciate Ganzi Tibetan Autonomous Prefecture People’s Hospital for their support. RZ, LC, TZ, TX, ML, WY and YY performed data collection. RZ, CL and QJ performed data analysis. RZ and CL performed results interpretation and drafted the manuscript. All authors reviewed/edited the manuscript and approved the final version. Liu, P., Chen, J., Yang, X., Liu, Y., Ji, D., Qin, S., et al. (2015a). 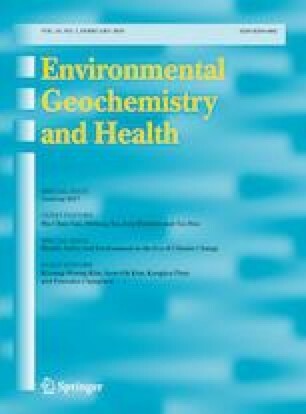 Investigation of drinking- tea- type endemic fluorosis in Sichuan Province in 2010–2013. Journal of Preventive Medicine Information. http://en.cnki.com.cn/Article_en/CJFDTotal-YFYX201508017.htm.